In my last post I wrote about Avocado Hummus and we still can't get enough of it. 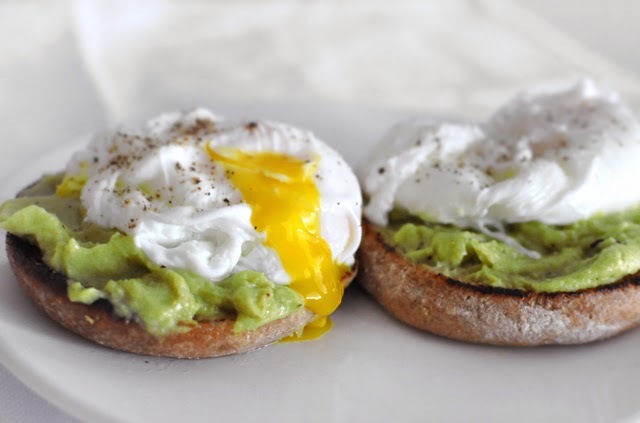 I mentioned my favorite way to eat it, on top of a toasted whole wheat English muffin with a poached egg on top. It Is So Good!!! I've eaten this in the past weeks more time than I would like to admit. Finally I decided to snap a picture of it because I think it's so beautiful in its simplicity. The creaminess of the hummus combined with the creaminess of the yolk from the poached eggs is really something else! This is a perfect breakfast, lunch or dinner and it is so simple to do, don't fear poaching the eggs! Start by poaching your eggs. Heat some water on medium heat but do not bring the water to boil and add the vinegar. Break the eggs into a bowl, stir the water a little bit in the pan before inserting the eggs from the bowl gently into the pot. I like doing the eggs two by two, I'm still practicing! Most people like to cook the eggs between four and five minutes, but I prefer mine cooked three to four minutes tops. 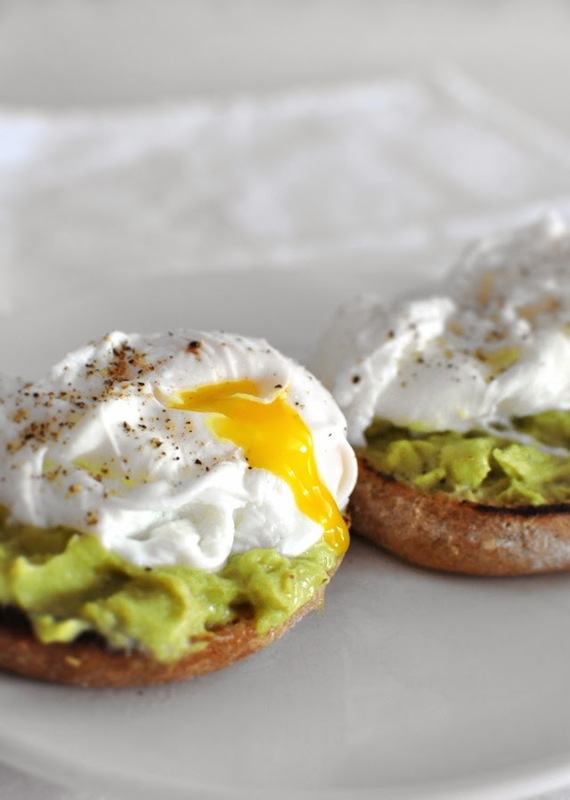 While the eggs are poaching toast the English muffins and generously spread the avocado hummus on top of them. 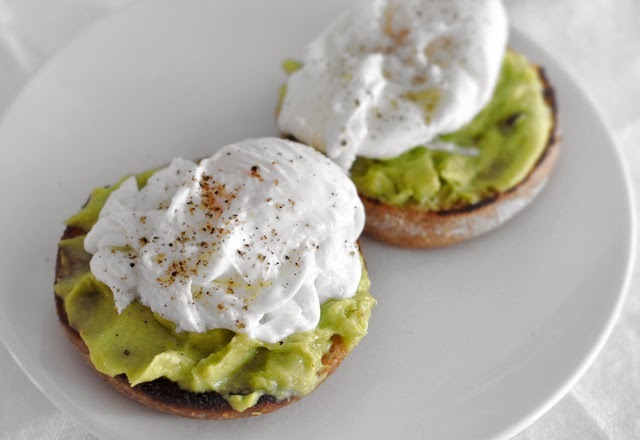 Remove the eggs from water with a slotted spoon and place one poached egg on top of each muffin slice and season with a pinch of salt and freshly ground black pepper. To me black pepper is the key! We've been enjoying this simple meal for weeks now and I am just about ready to upgrade it with some bacon and Hollandaise sauce into fancy schmancy eggs benedict. My all time favorite breakfast.